There’s no denying how hard it is to break a habit that you don’t even realize you have — especially if it usually happens when you are asleep and not aware of what you are doing. If you have a habit of teeth grinding (also known as bruxism), the best thing you can do is consult your local dental clinic to weigh your options — because multiple things can help you put an end to the bad habit that hinders your oral health. According to the Bruxism Association, you are three times more likely to get headaches if you are a teeth grinder. Personally, I’ve grinded my teeth for years before discovering that I did. The first signs were headaches and a sore jaw. Of course, the one way to be sure you are grinding your teeth in your sleep is if your loved one hears it and brings it to your attention — that’s a confirmation that you can’t ignore. These appliances are commonly custom made and created from plastic. They will sit on your top or bottom teeth, and as a result, help relieve you of any facial pain caused by grinding. Mouthguards are another protective appliance that will prevent any wear from teeth grinding. You can have your mouthguard custom made at a dental office, or even purchase one over the counter. Of course, a custom appliance is ideal as it’s catered to your mouth’s unique attributes. According to Healthline, mouthguards will cushion your teeth and prevent them from grinding against each other. The nice thing about this appliance is that you usually only have to wear it in your sleep. If you’d rather a psychological approach, biofeedback will help you train yourself to stop grinding your teeth. This technique is meant to make you aware of this subconscious habit to help you limit the behaviour. This therapy utilizes your body sensors to measure body functions. If you think this may work for you, contact a biofeedback therapist who will work with you to develop techniques to control your jaw muscle movements. 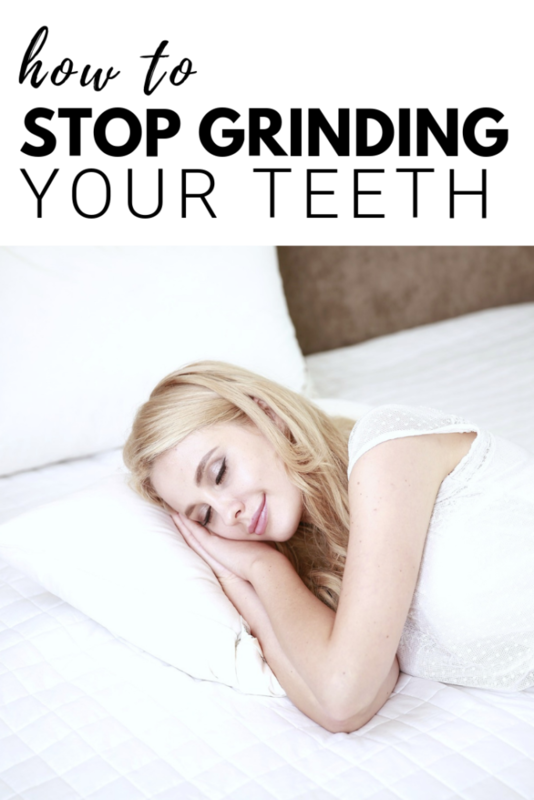 Teeth grinding tends to be a nervous habit triggered by stress. Practices like meditation, exercise and regular therapy can help you decrease the stress that may be triggering your teeth grinding. Ultimately, various things can cause you to grind your teeth, and because the habit tends to be subconscious, it’s vital to consult a professional to help you put an end to it. Work with a specialist to decide the option best suited to you.